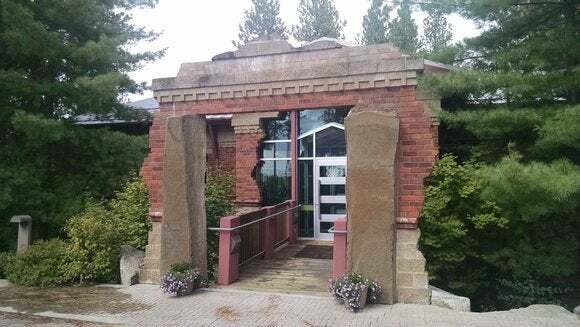 After PAX ended this year I made the four-hour drive from Seattle to Spokane to meet up with the team over at Cyan, famous for making the PC gaming classics Myst and Riven. 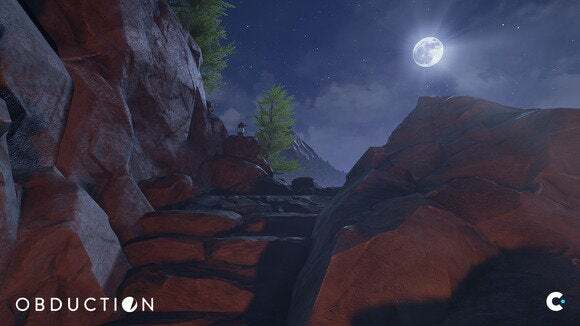 I got to see a very early look at Obduction, a game "that harkens back to the spirit of Myst" and was Kickstarted to the tune of $1.3 million—a preview you can read here. I got a peek at the fabled "Myst Vault" too—a physical trove dedicated to Myst history and general Cyan knowledge. It was insanely cool, and I took plenty of pictures. But I also got to just sit and chat with the team for almost three hours. We talked about a lot of stuff that doesn't really fit into an article per se—but it's stuff that's still interesting in general and especially intriguing if you're an old Myst fan. Thus, this... thing. It's not really an article, because I'm not going to comment on every little thing. However, it's also not really an interview transcript because it leaps around in time—trust me, you don't want to read the full 40-page transcript I wrote out. This is just the cool stuff. It's disorganized. It's messy. But it's full of interesting information straight from the brains of Cyan. VICTORIA ALMOND (VA), PR and QA at Cyan: We're about to be revealed to the public with our sign. RAND MILLER (RM), Co-founder: Oh that's right, we've never had a sign. VA: We had this white square with 14617 on it. RM: That's been our sign for...however long we've been here. Since Riven. VA: 19 years. Yeah, it's been a while. RM: We have people...the building's too big for us now. We've rented out other portions. PCWORLD: Yeah, I noticed there are six or seven different companies here when I came in. RM: There weren't for a long time, but now it helps because renting out portions of it helps pay the bills. Am I seeing super-secret Obduction stuff on this whiteboard over here? VA: Should we close that? RM: Nah. 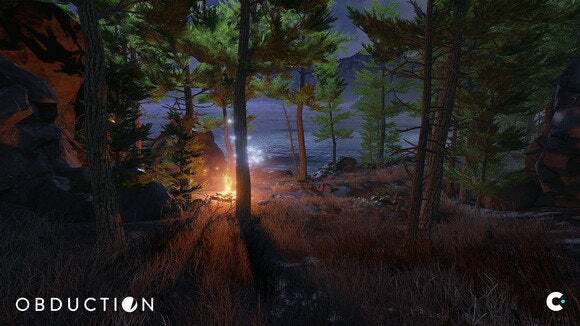 Yeah, that's super secret Obduction stuff. [Laughs, then does a double-take] That actually...that is actually super-secret. That's some of the key gameplay towards the end that we just changed. It's good they're here [gestures at others in the room] because what we do is, the guy Richard [Watson] who just left, he and I are sort of the first front of design. We plow through and sort of get at least this big-picture, then we start digging down. Then what we do is we present to the whole team, and then they have the chance to mull it over without us in the room, and it's kind of like "Put down your ego time." RM: [Laughing] Oh I dread these days. It truly is like, "Okay, must detach emotional side of brain." Your confirmation bias is going, "No! I spent a lot of hours on this and it's so good and I own it!" No. 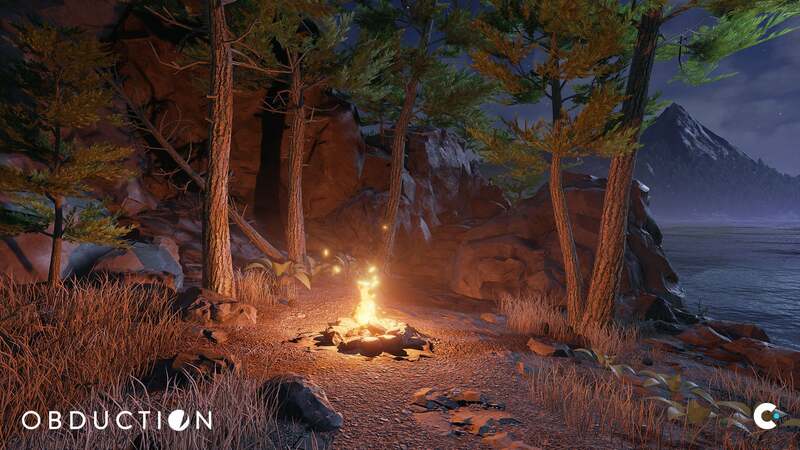 Here's how Obduction's introductory level looks currently. What we do make them do is not just be individual critics. They need to get in a room together and come up with a list of priorities. "We all agree this sucked. And this." And they try to come up with ideas or paths or complete fixes for those. So then Richard and I go back in and churn on it, maybe make another presentation, and they're like "Oh, that's good, that's good." It's part of the honing process that we're pretty close to done with, except that it gets honed over the whole thing anyway. RYAN WARZECHA (RW), Project lead on Obduction: The company right now is fifteen people. VA: When QA comes on board, we'll get bigger. EA: We're real programmer heavy right now. Myself and our concept artist are all we have for art. We don't have a very pretty looking game but we have a game that functions well. RM: We're doing that whole "Let's play the whole game through, let's get all the puzzles done, and then make it pretty." EA: Turns out art's expensive! RM: Press that art button. RW: RealMyst Masterpiece was done in Unity. We knew going into the Kickstarter campaign we really wanted to use Unreal 4. All the lights in this scene are currently dynamic, thanks to Unreal 4. EA: I've been trying to drag Tony, our president, into the Unreal camp for years but it just hasn't been feasible. We were trying to do smaller projects. RM: You say that. You have like, a closet programmer hidden in you just clawing its way out. EA: The tools in there are just killer. Being able to make production tools that the rest of the team can use in just a day of connecting nodes together. For years, I was like "I don't know, the idea of coding...what if something goes wrong? It's this black box. Debugging it." It turns out...maybe we got in at the right time, because maybe Unreal 3 wasn't the best, but Unreal 4 is great. We've had issues where, yeah, maybe their black box doesn't work the way we want, but we're full licensees so we can jump in and tweak it. EA: As far as production tools? RM: Just feedback. A lot of stuff's changed since RIven. We had the whole build-your-own-engine Myst Online stuff in between, but that whole pre-rendered Riven stuff... Riven was the height of that and it was just a nightmare. It pushed that as far as I'd ever want to push that. Riven's pre-rendered graphics were gorgeous for 1997. They also took up five CD-ROMs. EA: Nobody's going to sleep overnight to monitor a render. RM: The crazy thing is...it's hard. We keep fighting with this ending thing that doesn't make sense to us. "Why is that guy not...Why does this happen?" We keep fighting it and fighting it. We're in this habit of "Once it's down, it's canon." Well, no. This is the first project of non-canon, so toss it out. This morning even, it was like "Why don't we just make this thing a completely different thing?" Okay. There aren't any constraints, it's so freeing, and now the story will make so much more sense because we don't have to shoehorn it in. I mean, it's not to say even redoing the Myst games didn't serve their purpose. We bootstrapped our company again by doing those which is awesome. We get to be indie still because we got the rights back and put it on those platforms. But it's nice to have no constraints. RW: It was a little surprising to us because before we did the Kickstarter campaign we went back and forth. Do we do another Myst property or do we do something new? 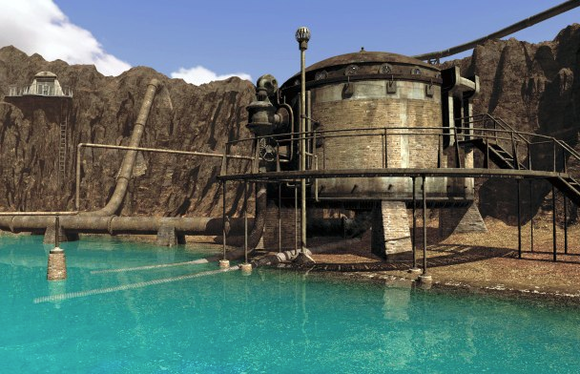 The whole sequel idea...If you do another Myst property it comes out to be more of a sequel. RM: No matter how hard you try. RW: Even though this is brand new. Eventually Rand came about and said "Why don't we do Obduction." We had this idea, but it's changed a lot since that idea. It was nice to see the fan community, even though it wasn't a Myst game, they still wanted that kind of game. They understand that we're not going to be constrained. RM: I'm still going to be really curious once it's done...I'm just going to be curious to see how many people beyond the Kickstarter people are interested in buying it. I just don't know. It's like an experiment. In some regards I keep seeing a bit of backlash against shooters. They're looking better and better but you're still just shooting things and playing the treadmill game. This may not be the perfect game but...I'm curious if there's room and people go "This is cool. We should do more like this." RW: Next year, we want to show it at PAX Prime. The funny thing is we're so small, our marketing team is this right here. RM: Is anybody who can market. RW: We're not going to have a huge marketing presence unless we can get some marketing funding somewhere at this point. When are you hoping to release? RW: For the project, I think we decided Fall 2015. It'll probably go longer but we definitely want to try and hit that. RM: The design's taken longer than we thought, because we tweaked it a lot more than we thought we would. But the production's actually going faster than we thought. I mean, one art guy and how much we've spent on building tools, it's actually like, "Wow, we're getting things done really quick." But you know how at the end...it always grinds at the end.